This Great Northern Health Insurance Company Review explores Great Northern Health Products, a Medicare-approved medical equipment and services provider located in Burnsville, Minnesota. Great Northern Health Products shouldn’t be confused with the Great Northern Insurance Company owned by The Chubb Companies in New Jersey, or the Great Northern Insurance Agency of Chicago, Illinois. These companies focus on providing property & casualty insurance, such as auto insurance, to individuals and families. Medical equipment providers help families by selling and renting medical equipment and supplies for use in the home. Patients of all ages, including children, elders, and adults, may require care at home. Renting expensive medical equipment for a short-term illness can save the family money. Regular orders, such as diabetic supplies, are delivered by companies like Great Northern Health Products to their customers. 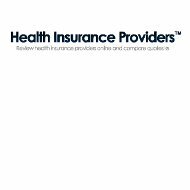 Request competitive health insurance quotes now by providing us with your zip code—save money on health insurance rates today! Then continue reading about Great Northern Health Products to learn if this provider can assist you and your family with important health services and products. Contact Medicare at +1-800-633-4227 (+1-800-MEDICARE) for more information about durable home health supplies and services. Equipment such as home oxygen supplies, walkers, wheelchairs, and hospital beds are delivered to the patient’s home by the company when the patient’s doctor says these items are necessary for continued patient care. Many products sold by Great Northern Health Products are considered durable medical equipment by Medicare. Durable medical equipment must be considered medically necessary for the patient’s treatment over a period of time. Patients with Medicare Part B may obtain durable medical equipment when a doctor (or clinical nurse specialist, nurse practitioner, or treating practitioner) authorizes this equipment. A nursing home, rehab center, or hospital doesn’t qualify as the patient’s home, although a long-term treatment and care facility may qualify as the patient’s domicile in some situations. Patients using Medicare Advantage plans, such as a health maintenance organization or preferred provider organization, may qualify for durable medical equipment used at home. Ultimately, Medicare must authorize the purchase of durable medical equipment. In some cases, the treatment provider must request pre-authorization from Medicare to provide medical equipment for the patient’s use. The provider must fill out a form called a “Certificate of Medical Necessity.” Once approved by Medicare, the doctor contacts a medical equipment supplier in the patient’s home area. Medical equipment suppliers must qualify to serve Medicare patients, and they must meet rigorous standards to maintain this status as a Medicare supplier. Medicare constantly evaluates suppliers to ensure that an honest, ethical relationship with Medicare and its patients is maintained. Other government agencies work with Medicare to ensure that the marketing of some high-priced products, such as power scooters or wheelchairs, aren’t abused. Read the Medicare publication “Protection Medicare’s Power Wheelchair and Scooter Benefit” for more information. Patients usually pay approximately 20% of the amount Medicare pre-approves for the purchase (less the Medicare Part B annual deductible). Ask Medicare about your cost for products and services from suppliers like Great Northern Health Products prior to authorizing an order. Some health care products may be rented from the medical supply company. Medicare will attempt to acquire the equipment necessary for the patient’s care at the lowest possible cost. Don’t wait to compare health insurance quotes—compare your current health insurance rates today by providing your home zip code now!